Art | Basel 45 : Where is Contemporary Art Heading? Art Basel stages the world's premier Modern and contemporary art shows, held annually in Basel, Miami Beach, and Hong Kong. Founded by gallerists in 1970, Art Basel has been a driving force in supporting the role that galleries play in the nurturing of artists, and the development and promotion of visual arts globally. 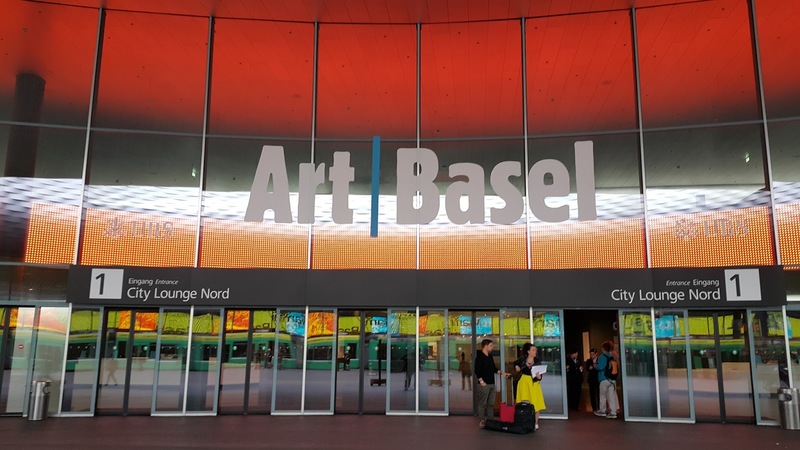 In 1970, a few Basel gallerists put their passion and determination behind an ambitious vision, and now, over forty five years later, Art Basel is recognized as the premier international art show, providing a platform for artists and gallerists from around the world. The dynamic relationships between art galleries, their artists, private collectors and public institutions play an essential role in today's artworld, and connecting the international art community has been Art Basel's goal since its beginning. Three annual shows bring the artworld together in some of the world's most exciting venues: Basel, in the heart of Europe; Miami Beach at the nexus of North and South America; and Hong Kong, the gateway to Asia. Some of the most prominent and respected figures in the international artworld have shared their knowledge, ideas and expertise during Art Basel's Salon and Conversations Series. Behind Art Basel stands a team of individuals with a range and depth of experience in the artworld and related disciplines. Each member channels his or her expertise into making Art Basel shows the most prestigious platform for artists, gallerists, and collectors.